Sleek hair and no flyaways!? Yes, please! 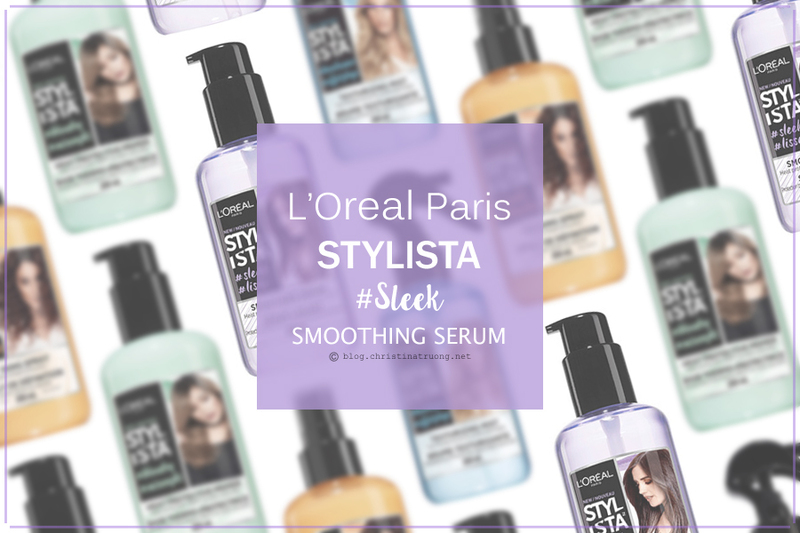 L'Oreal Paris Stylista #Sleek Smoothing Serum with acai berry extract is tailored to maintain sleek and flyaway-free hair and helps protect hair from heat damage up to 230°C. It's perfect for getting the sleekest hairstyles, including sleek ponytails and poker straight hair looks. Its silicone-free, non-greasy formula instantly eliminates flyaways and up to 95% frizz for soft, sleek, and smooth hairstyles with natural movement and a silky finish that last 24 hours. Distribute evenly through damp hair before blow-drying, then straigthen using a flat iron. Smooth on dry hair to remove frizz. The L'Oreal Paris Stylista #Sleek Smoothing Serum left my hair feeling smooth and silky looking. The product itself has a serum texture and a light sweet fragrance. As instructed, after I had washed my hair, I applied the product evenly through damp hair before blow-drying, then used a hair straightener to straighten my hair. I was also able to tame most of the flyaways when my hair was dry. In the end, it not only left my hair silky and smooth but also lightweight and healthy. The product didn't weigh down my hair nor leave it looking or feeling greasy. This is a great product if you're often straightening your hair and want that sleek straight hair vibe, I would also recommend this product to those who want to control the flyaways and frizz in their hair.